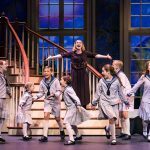 HomeArtsy MamaGiveaway: Tickets to see Annie on stage at Walton Arts Center! Happy Monday, mamas, and guess what? 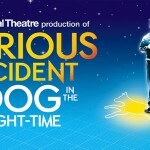 The sun’ll come out TODAY because we’re giving away Annie tickets! 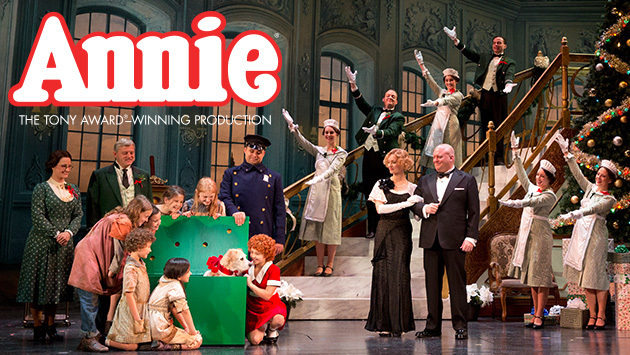 One lucky mama will win FOUR tickets to see Annie on stage on opening night, Tuesday, Nov. 24th. FYI, there will be 8 opportunities to see the Annie show at WAC, November 24-29. 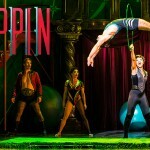 ABOUT THE SHOW: Add a bit of theatrical flair to your family’s holiday plans! 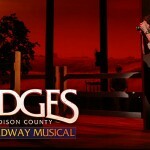 This Thanksgiving, the world’s best-loved musical returns to Walton Arts Center for the first time since 2007. We’ll choose the two winners on Friday afternoon, mamas! Good luck! ‘Faith Ties’ Giveaway exclusively for our newsletter subscribers! All aspects of laundry, gathering, sorting, washing, drying, folding and putting away! Cleaning the showers! UGH. And washing textured tile floors. Whoever thought textured tile would be a super-great option for flooring obviously did not clean his/her own floors. Hard Knock Life: Laundry!! It never ends! No one in the family likes doing it. I hate matching socks and picking up thrown food from the babies in their high chairs only to have them pelt me with more food while in doing it. 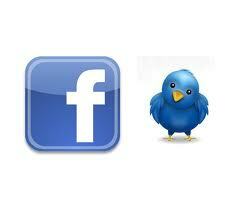 Follower you on facebook and Twitter. All the dust that settles under the living room furniture!! I have wood floors 🙂 I normally stretch before I take on this chore!! With a family of 7, Including 3 adopted kids, I would have to say laundry is our least favorite chore. It seems to never end. Annie is our favorite movie and I would love to take my girls. Cleaning out the 75 gallon fish tank!!! Yikes!!!!! Keeping up with laundry for a family of 6 is a NEVER ENDING task! Just when I thought I’m caught up, it’s like a new load appears from thin air! Seriously dislike doing dishes! I watched Annie over and over as a kid and now my daughter loves it just as much! We’d love to go!! Laundry! I told my husband when I met him that I hate doing laundry. It’s the one thing I wish I had someone to do for me. DISHES!!!! The chore itself I don’t mind so much, I just feel like it is never ending. There is always a dirty dish in the sink!!! Laundry and Dishes! UGH! Not enough time! Laundry….I can wash & dry all day long…. but folding and putting away makes me want to scream! Mopping floors…with kids and dogs it is required daily in my house. I follow you on Pinterest, Facebook, and get the newsletter! Thanks so much ! Right now all of them (I’m pregnant lol)…. But mostly bathrooms…. I hate to clean the bathrooms!!! I just followed your page on pinterest, and I liked post on facebook!!! Washing a sink full of dishes. Scrubbing the shower and cleaning the blinds!! UGH! Laundry and dishes! Those are the chores that are never fully done. There’s always more of them to do! Follow on Facebook,Twitter and Pinterest! Absolutely hate putting dishes away!! I hate to vacuum. Between the kid and the dog, it’s a never-ending process. Any and all housework! Laundry, mopping, vacuuming, cleaning toilets, dusting. You name it, I hate it! Waiting for a Daddy Warbucks to hire me a housekeeper! I really don’t like mopping the floors! I put it off as long as possible! I saw Annie in the movie theater on July 23, 1982 and later that afternoon my mom gave birth to my baby brother. Never forget this movie. So like Annie songs I’ll do the windows then the floors in case I drip!!! Mopping the floors make me want to sing, “It’s a hard knock life”! LAUNDRY!!!!!! Sort, wash, dry…. All ok. But FOLD annnnnd PUT AWAY?! Just too much!!!! Ugh!!!!! I don’t like dusting…it’s tedious!! The worst chore is cleaning baseboards and fans. Plus, it makes me sneeze! Changing and washing sheets on all the beds! Hard knock!! The absolutely worse chore is changing bed sheets!!! I dread it every week!! Laundry , laundry , laundry … I am convinced that laundry multiples when it’s ejected from the washer and dryer. I try to trick myself into loving to clean by chanting how lucky I am to have a house. If that works, I prance around cleaning gleefully singing Anothe One Bites The Dust or Desperado. Toilets, though? When it is toilet time, my tune changes. I have a hard time sweeping up the daily dose of dog hair! I also follow on Pinterest and receive newsletter. Vacuuming the floors could sing it all day! Laundry, it is a process. Sort, Wash, Dry, Fold, Hang or put away!!!!!! LAUNDRY MULTIPLIES!!!!!! Definitely scrubbing toilets and tubs! I loathe cleaning the bathrooms!! Mopping comes in a very close second, though! I don’t like any housework. I would rather be sewing or reading! I would have to say dusting furniture or hardwood floors. My least favorite chore of all!! Cleaning floors whether vacuuming or mopping! With a family of 6 it has got to be LAUNDRY! Definitely cleaning the toilets! It’s a hard knock life!! omg me and my daughter love love annie;) I hate mopping and think of this song from time to time. Folding laundry!! It. Never. Ends. Ever. Cleaning the baseboards and toilets!! Laundry!!! With 2 girls and a husband I feel like all I do is laundry! Laundry…you wash, dry, iron, fold and when you get the last load in…another has already accumulated!! Dusting or anything underneath furniture/beds. I can’t stand doing dishes! I’d rather clean a toilet! I hate cleaning the barthrooms. I’m not sure why it’s such a big deal but it just irks me. Ugh. Hate mopping and cleaning bathrooms! Blahhh!!! Picking up (or ensuring the culprit picks up) dirty clothes tossed on the floor within feet of the hamper!! Cleaning bathrooms – showers specifically! Bathrooms and loading the dishwasher!!!! Definitely bathrooms! I don’t mind most chores, but bathrooms are awful! Cleaning blinds, ceiling fans and light fixtures makes it a hard knock life! It’s a hard knock life when cleaning the bathroom and toilet used by three boys and then some! Not sure which one I dislike the most–folding and putting away laundry or hand washing dishes! I follow you on Pinterest and Twitter, and I’m an email subscriber. I hate to mop my kitchen floor or any floor for that matter! I hate cleaning the blinds! Doing dishes after baking a sweet treat! What is it about touching old gross food in the sink!? Yuck!!!!! Cleaning the bathroom is not a fun job. cleaning the bathtubs ouch on the knees!!! Laundry, laundry, laundry….Always growing and never complete! It’s a Hard Knock Life when I have to do the dishes! Definitely cleaning toilets and taking out the trash! I hate all chores but especially dishes! I don’t like sticking my hands into the nasty water & scrubbing off food! Yuk!! All things CHORE is the hard knock life for me right now!! 8.5 months pregnant with baby number 5 and it takes an act of congress to wobble while I clean 🙂 Would love to bring my older 3 to see our favorite production! After dinner dishes make me sing, “it’s a hard knock life”! I love cooking for my family but after eating and sharing our day I feel like its back to the grind for mommy. Even with little helpers the pots and pans are the chore. All the stuff. I want a self cleaning house. Cleaning the litter box, mopping, and cleaning out bathroom sink drains! Ewww! Making the bed after the dogs and my fiancé have been rolling in them all night!! My family would absolutely love this! They are coming from Illinois. It has been really hard living so far away, and this would be a wonderful time to reconnect. Oh, folding laundry and putting it away, only to turn around and see my toddler beside an unfolded pile of said outfits I just put away! Blinds! They collect every particle that enters the house and are the biggest pain to clean! I follow on Facebook, Twitter, Pinterest, get the newsletter, tweeted and face booked about the contest. Laundry’s a hard knock life for me!!! I hate doing dishes! There are four of us and I don’t have a dishwasher! Cleaning three stinky boy rooms!!!!!! TOILETS! nothing worse than cleaning toilets!!!!!! !